Some of the most popular dental topics discussed in San Mateo and Daly City relate to cosmetic dentistry, such as teeth whitening, veneers, and dental implants. However, the desire to avoid cavities is still the main reason Pacifica and Half Moon Bay residents visit their dentists, so today the Daly City dental blog is going to highlight the 5 things you need to know about cavities. 3. Cavities may get so bad that you will see pits or holes in your teeth, but symptoms may be more subtle, such as sensitivity, pain when biting, or a toothache. If you experience any of these symptoms, you should call your San Mateo, Daly City, or San Francisco dentist today for an appointment. 5. Avoiding cavities is simple. Be sure to brush twice a day with a fluoride toothpaste, floss daily, eat right and avoid snacking, and have regular visits with your dentist. If you are in the market for quality dental care in the Daly City area, give Kenneth Hovden DDS a call. 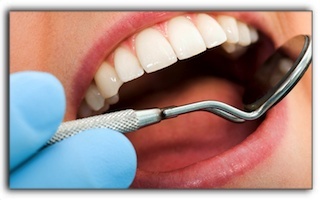 We have been treating dental patients in and around San Francisco since 1981. We can also answer any questions you have about cosmetic dentistry procedures such as porcelain veneers and smile makeovers.